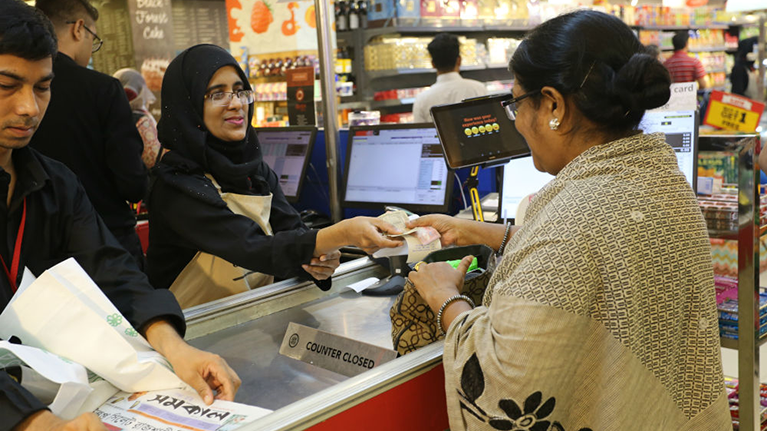 DHAKA, Bangladesh (ILO News) – Amid the hustle and bustle of a busy Dhaka restaurant, Mohsina Begum Liza takes a customer’s order and explains that it will take 15 minutes for the food to be served. What sets this common scene apart is that it takes place in sign language. Liza can neither speak nor hear, yet she can understand what others say and her disability does not come in the way of her work. 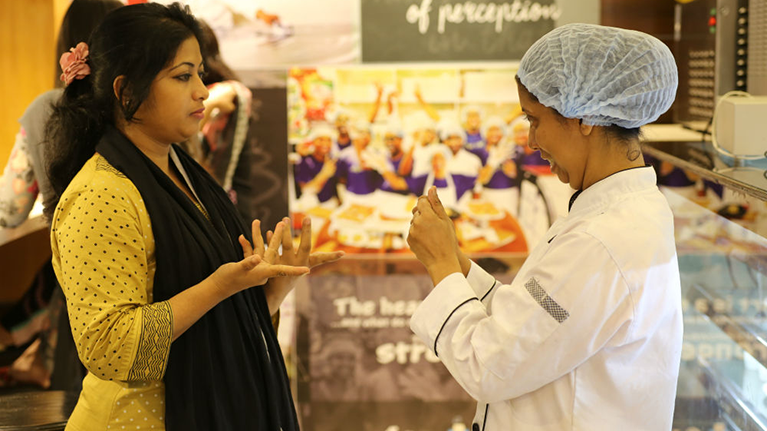 With a hearing impairment from birth, 30-year-old Liza secured her job at the Angel Chef restaurant, an initiative of Parents Forum for Differently Abled (PFDA) – through perseverance and opportunity. The restaurant is based within a branch of the well-known Swapno retail chain and its customers are glad to drop in and grab a bite to eat. Supporting these efforts has been ILO’s Canadian-funded Bangladesh-Skills for Employment and Productivity (B-SEP) project . With the support of B-SEP, out of 630 persons with disabilities trained, 205 people with neurodevelopment disorder have graduated from training courses run by PFDA. Of those, 174 have either been placed in jobs or become self-employed. Meanwhile, B-SEP has supported initiatives such as the launch in 2016 of the Bangladesh Business and Disability Network (BBDN) – a network of employers hiring or willing to hire persons with disabilities which has helped bridge the gap between the private sector and people with disabilities looking for work. To date the BBDN has 38 member companies and has helped some 191 people with disabilities throughout Bangladesh find work through job fairs and other activities.